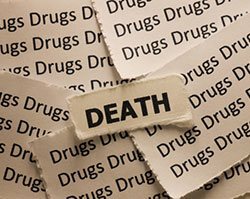 The death of an addict is something that some loved ones may have to deal with. According to the Centers for Disease Control, the leading cause of injury death in 2012 was drug overdose. And the National Council on Alcoholism and Drug Dependence reports that there are 2.5 million alcohol-related deaths worldwide each year. These deaths leave behind many grieving loved ones, who may not have the resources they need to deal with the death of an addict. Following is a resource guide with advice and information for those who’ve lost a loved one to drug or alcohol addiction. Address feelings of guilt and shame. 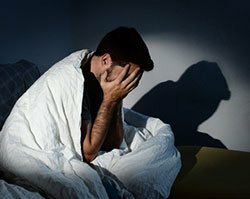 This two-part article on grieving after an overdose addresses how those who’ve lost a loved one to addiction often feel guilt and shame because they think they should have been able to prevent the death of an addict. Look for a support group in your area that deals with the death of an addict. As this article notes, GRASP (Grief Recovery After a Substance Passing), a group created by loved ones who’ve lost someone to addiction, has support groups throughout the country. Their meeting locations can be found here. 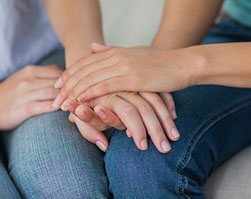 This article offers a look at the benefits of grief support groups. If you don’t feel comfortable discussing your grief in person, an online grief support group might be a good option. There are online support groups and forums specifically for people who’ve lost a loved one to addiction. Speak with a grief professional. Though these tips for finding a therapist from the American Foundation for Suicide Prevention were created for those coping with a suicide loss, they work well for those coping with drug addiction loss. The tips provide great advice, such as asking your medical doctor for a therapist recommendation. 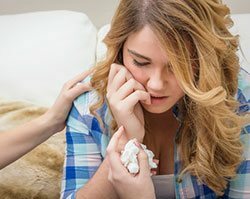 They also provide links to organizations that can help you find a therapist, such as the U.S. Substance Abuse and Mental Health Services Administration mental health services locator, and those that can refer a therapist, such as the American Psychological Association and the National Association of Social Workers. Help children close to the loved one. Whether you’re a parent or other family member of a child who has lost a parent or sibling to addiction or the parent or family member of an older child who lost a friend to the disease, it is important to know that children may require special help in coping with death and grief. The Women’s and Children’s Health Network provides comprehensive information on how to help a child who’s grieving. It explains how children in different age groups—Preschool, Early Years of School, Later Primary School Years, and Teenagers—experience and express their grief. It also provides advice for parents on how to help them through this difficult time. Use journaling to manage your grief. This article discusses the helpful benefits of journaling when grieving and touches on the fact that many people don’t take advantage of the benefits of journaling because they find it “difficult, frightening, overwhelming, or counterproductive.” It also provides tips for overcoming this aversion to journaling. For example, there are no rules when it comes to journaling–don’t worry about grammar and punctuation. And help yourself get in the habit by sticking to short amounts of time, 5 or 10 minutes to start. Don’t forget to take care of yourself. Grieving is a stressful and taxing process. This article provides self-care suggestions for those who are grieving. For example, the article recommends participating in an activity you’re good at, taking a walk outside, listening to a relaxation exercise, and much more. And be sure to get plenty of sleep. As this article notes, sleep patterns are often disrupted by grief. It provides tips on how you can ensure you’re getting enough rest as you grieve. Listen to music. As this article notes, music can play a big role in guiding you through the grieving process. It recommends looking through the list of “Grief Songs: Music for a Grieving Heart” to see if there are any that appeal to you. Grief playlists can also be found here. Don’t avoid your grief. This article from WebMD explains that those who’ve lost a loved one to an addiction may seek out ways to avoid their grief. 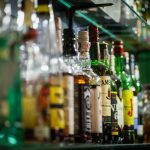 The article notes that using drugs and alcohol, throwing one’s self into work, and avoiding feelings can greatly hinder the grieving process. Don’t blame yourself or others. This report from the UK’s ADFAM explains that it is common for loved ones to blame themselves after the loss of a loved one to an addiction. Often, family members and friends search for ways they could have helped more or look for what they did wrong. As the report notes, unfortunately, these feelings of blame prevent loved ones from being able to move on. Ease back into work. The University of California, Berkley presents “Guidelines for Responding to Death.” This section on dealing with grief and work provides great suggestions on how to handle returning to work after the death of a loved one. For example, it provides great help on how to handle communicating with coworkers: Consider what and with whom you want to share about your loss and know that while most coworkers will be sympathetic they may not know exactly how to express their concern to you. Respect their limits. Develop tools for coping. GRASP offers advice on how to develop coping tools that will help you deal with the “realities of living.” GRASP recommends sticking to a regular schedule. The group stresses the importance of understanding that the grieving process is slow, and you shouldn’t try to rush yourself through it. Talk about it with family/friends. Talking through your grief is part of the healing process, and yet, it can be a very difficult thing to do. This article from Psychology Today explains why it is so difficult—often others simply don’t know how to give you the support you need. The article also provides tips for grievers. For example, it suggests first asking someone if it is OK to discuss your grief with them and then always thank them for listening. And these tips provide great advice for those providing support to a grieving person. They offer a list of things not to say and explain that often the greatest role you can play is that of kind listener. Don’t compare yourself to others. As this article on dealing with the outside world while grieving explains, we have a tendency to compare our own grief to that of others. For example, as the article notes, we might chastise ourselves for not coping with a death as well or as quickly as someone else who recently lost someone. These comparisons aren’t productive. Avoid making money decisions. Grief can muddle your thinking and decision-making. Because of that fact, as this article recommends, it is a good idea to avoid making major financial decisions while you’re grieving. For example, the article suggests waiting to make decisions on selling your home or paying off a mortgage. Don’t “throw” yourself back into your normal routine. As these tips on how to grieve point out, those around you will go back to their daily lives. However, that doesn’t mean you should rush yourself back into your normal routine. Don’t let the outside world distract you from your grieving process. Be open to receiving help. This article takes a look at healthy and unhealthy ways to respond to grief. The “Unhealthy” section of the article cautions those who are grieving from thinking they have to do everything on their own. Recognize that you are going through a difficult time and know that it is more than okay to accept help from others. Help reduce the stigma. 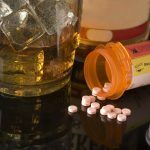 This article points out the stigma that still surrounds drug and alcohol addiction. It encourages those who know and understand what addiction is, to inform others in order to help reduce the stigma associated with addiction. In doing so, you can play a role in making sure people get the help they need. A great way to heal after the death of an addict is to help raise awareness about the dangers of addiction and the pain it causes those who suffer from it. Host a vigil. Narcotics Overdose Prevention & Education Task Force (NOPE Task Force) is a group that encourages others to host vigils in remembrance of loved ones they’ve lost to addiction. These vigils help participants heal from the loss and also raise awareness in the community about addiction. The group recommends three different types of vigils: Community Vigils, Campus Vigils, and Home Vigils. Find out if there is a local chapter in your area here. Leave a tribute. International Overdose Awareness Day offers a Tribute page on their website so that people who’ve lost someone to addiction can commemorate their loved one. Tributes can be added here. International Overdose Awareness Day recognizes that you may also want to remember your loved one in other ways. The organization offers silver pins to wear in remembrance of your loved one. Campaign for changes in drug law and policy. This article from TheFix.com tells the stories of mothers who channeled their grief from losing children to addiction into creating change. One mother advocated for the passing of a 911 Good Samaritan law in her state. These laws give fellow drug users some protection from drug charges when they call 911 for someone who has overdosed. The article tells about another mother who became involved in educating others about drug addiction and how to prevent it. More information about becoming involved in drug policy reform can be found via the Drug Policy Alliance. Commemorate your loved one in your home. This article provides great tips on how to commemorate your loved one through a home design project. For example, the article suggests planting a tree in their memory, displaying their photos, framing and hanging one of their favorite pieces of clothing, and other great ideas for commemorating the death of an addict.